One of Pampanga's well-known dishes. 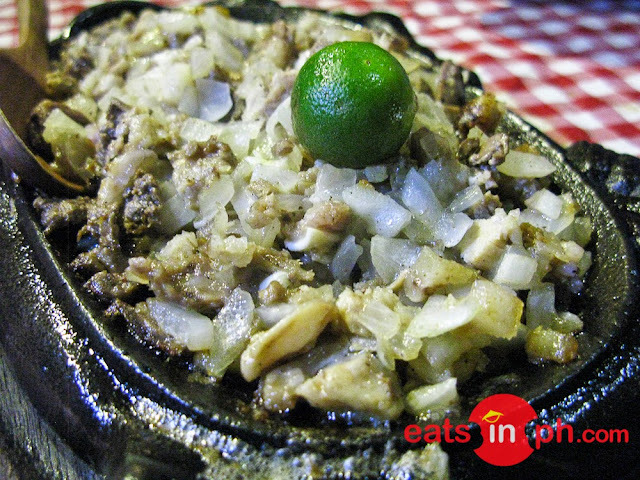 Historic Camalig Restaurant's version has pig's head, liver, onions and seasoned with calamansi and chili peppers served on a hot sizzling plate. Home of Armando's Pizza: "Ang Pambansang Pizza"